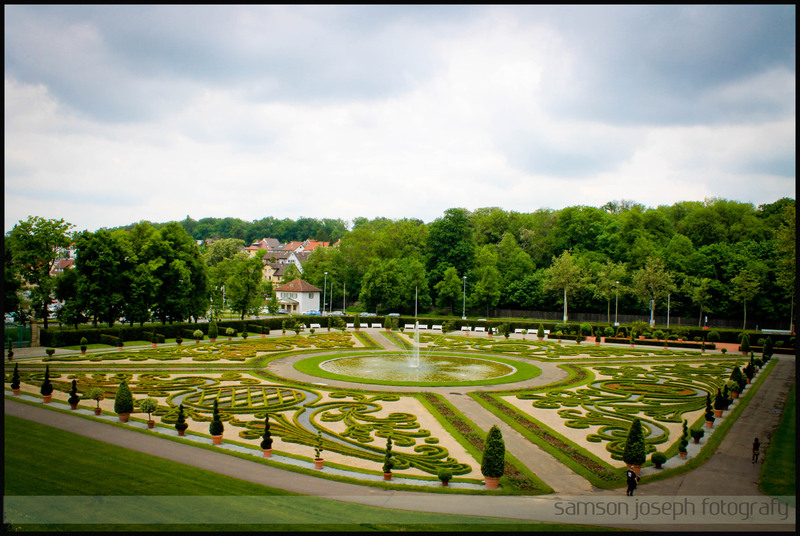 Two days around the city of Ludwigsburg and Stuttgart makes me feel that this country has more castles per square kilometer than anywhere else I have known. 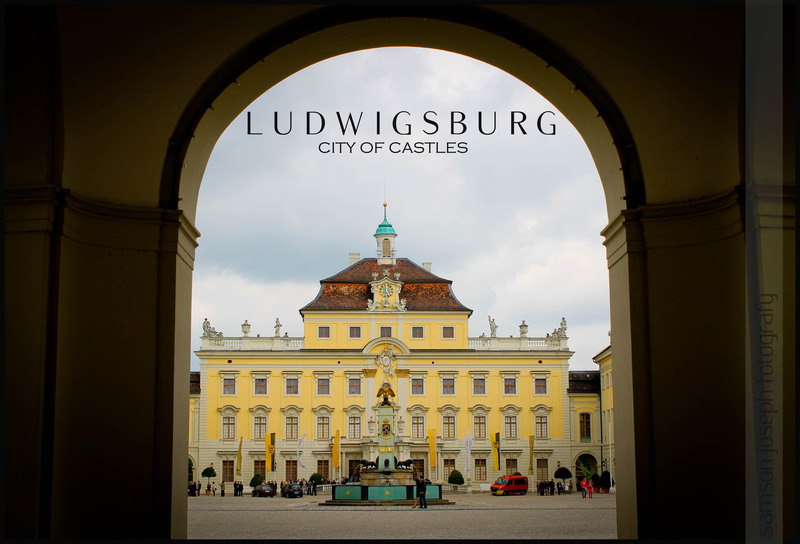 The rustic town of Ludwigsburg itself has close to 5 castles and what’s more, the burg in the name of any city suggests that there is castle out there and not that it sells burger! Yes, you guessed it right! that means, Hamburg, Heidelberg, Waldenburg, Brandenburg all those have something to boast about but that doesn’t mean cities without a Burg in their name doesn’t have any. The most interesting aspect I notice is the versatility in the construction styles. They have Gothic, Roman, Baroque, Medieval, Rococo and many more architectural wonders! 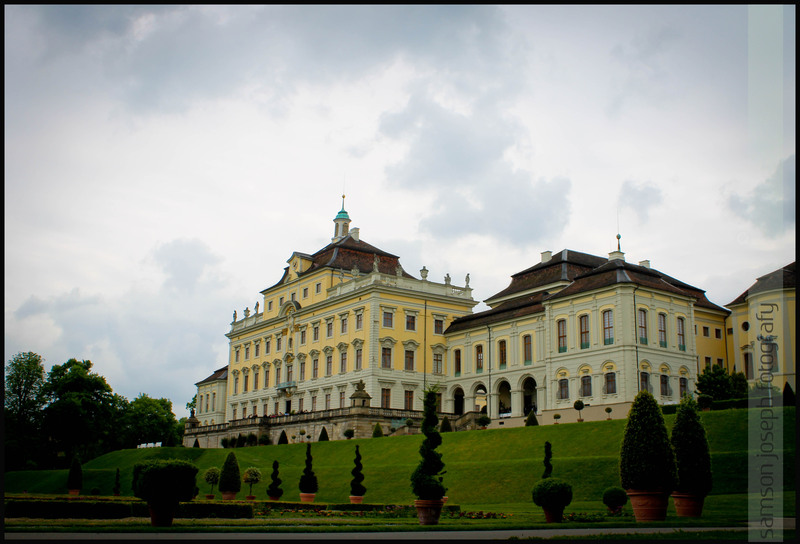 Probably Germany has had so many rulers and leaders from such versatile backgrounds that each one of them wanted to outsmart another when it came to constructing castles, palaces and structures of contemporary style. These fairytale castles, grand palaces and timeless medieval towns has only made Germany exude the kind of rustic charm that would take one’s breath away. The architectural diversity of the heritage buildings is truly unique to this country perhaps. Though I could not visit the most celebrated castles of Germany, but those I could run through during the short stay were equally inspiring. At Schloss Ludwigsburg, Europe’s second largest baroque palace, I was told about the Kinderreich, the amazing role play in which the visitor would be helped by a servant to dress up like a royal with all jewelry, fans, hats, crowns & wigs and then take a tour through the palace in royal ghetto as the guide tells you stories from time as old as 300 years. Visitors can even rest in the royal suite and have tea in the porcelain cups. There was a wedding ceremony taking place inside the castle. Never know if the person belonged to the royal family or was the palace available to the public as well, it was indeed a fairy tale wedding of sorts. Ladies in long, white and bright colored gowns that were foaming into the ground, kids dressed up like little angels running around and those pretty bride’s maids! They laughed, celebrated and made merry! It simply looked to me like the weddings that I had read in Hans Christians and Lewis Carolls! Probably, the creator pulled the saturation tab on Green to a farther extent when he was sketching Germany. This place is incredibly green, a treat to the senses. Lung full of fresh oxygen, breeze that soaks up the skin and the bright rolled lawns all make you forget time. Perhaps Mark Twain said it right, after ten minutes you forget time, after 20 minutes, you forget the world! Every main road here is flanked with trees that make it look like a postcard. 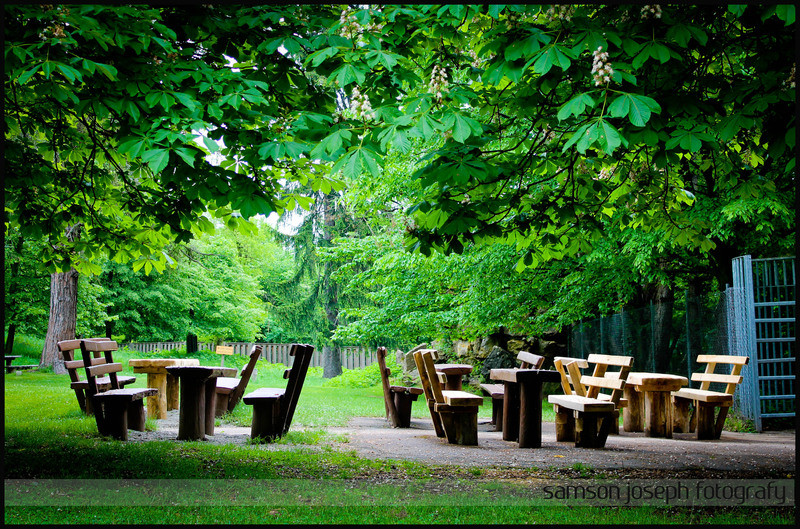 The lawns and gardens graced only by the hissing sound of cool breeze and gushing of streams transform you into another world. The walk through the forest way near Favorit Schloss is so peaceful that a lazy goose like me would fall asleep even while on a walk. I didn’t get a chance to laze amongst the serene surroundings but if you ever go there; make sure you take a nap for me! That probably explains how the literary greats from Germany where inspired. The countryside and towns equally charm with an extravaganza of crisp air, idyllic setting and panoramic views! The vineyards on the stretch of river Neckar provide spectacular viewing. Like a travel column written on Germany reads, it is ironical to know that time seems to stand so still in a place where keeping time is everything!